Pathos ClassicRemix HiDAC review | What Hi-Fi? This well-equipped compact integrated is one of the Italian company’s more affordable models. Don’t worry; it still delivers a full dose of the brand’s distinctive DNA. We can’t think of another high-end electronics manufacturer that mixes the often conflicting demands of aesthetics and performance as successfully as Pathos. One look at the ClassicRemix is enough to confirm it looks like little else on the market, bar its pricier stablemate – the excellent InpolRemix. As for sound… we’ll get to that soon enough. There are two versions of this amplifier; the HiDAC, on test here, which has a built-in digital-to-analogue converter module, and the ‘basic’ ClassicRemix without. Going for the non-DAC version will save you £355 on the price we’ve quoted, but you’ll also be missing out on a fine-sounding circuit. Don’t let the minimalist appearance fool you; the ClassicRemix isn’t short of features. Alongside a good range of balanced and unbalanced analogue inputs you have a choice of digital options including coax, optical and multiple USBs. Don’t get too excited about the provision of three USBs and the ethernet connection. Of these, only the Type B USB on the back actually works. The remaining USBs – one on the front, the other on the back panel – are full-size connections (intended for use with memory sticks or hard drives) and aren’t active yet. Neither is the ethernet socket. These three are included to accommodate a forthcoming digital board. We have no firm date for its arrival as yet, or its exact functionality. 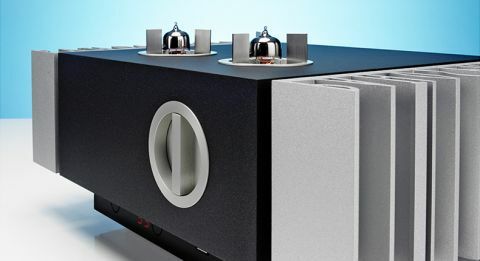 Most high-end amplifiers tend to be stripped-out affairs, but along with the DAC module this Pathos also has a headphone output. It’s a carefully designed amplifier circuit with a dedicated power supply and the ability to deliver good amounts of current to drive a wide range of headphones. Many rivals – if they feature a headphone connection at all, that is – tend to just take a padded down feed from the speaker outputs. Pathos’s idea is to make the headphone circuit good enough for the owner to feel no need to buy a dedicated outboard unit. The company’s success in this respect – and the built-in DAC – makes the ClassicRemix a pretty complete amplification solution for most higher-end systems, as long as a turntable isn’t involved. Build quality is up to the usual high Pathos standard. The amplifier is a solid, neatly finished package put together with the kind of care we would hope for considering the price. If you don’t like the low-key black finish of our review sample, the amp is also available in a number of more luxurious options such as Zebrano wood, red, white and black lacquer. These finishes attract a £100 premium on the price we’ve quoted. We’re pleased by the effort the company has put in to make things, even as mundane as heatsinks, look good. Where most manufacturers are happy with basic fins, Pathos has had its heatsinks specially shaped to spell the company name. This may not be the most efficient shape for carrying heat away from the circuitry, but that’s not a problem because the ’sinks don’t get too hot in use and, let’s face it, look far more interesting. We like the remote too. It’s a nicely sized, basic affair with just six control buttons. Interestingly, none of these are labelled, which feels a little awkward to begin with but give it a few minutes to learn their functions and we think all will be fine. As is Pathos’s way, the ClassicRemix uses a hybrid electronic circuit that mixes valves in the preamp stage – a pair of Electro Harmonix ECC88s – with a fully balanced 70W-per-channel Class A/B transistor-based power amplifier. While that’s not a huge amount of power, it is enough to get decent volume levels from most price compatible speakers in anything but the largest of rooms. We got good results from Triangle’s terrific little Esprit Titus EZs, Audio Note Type Js and our reference ATC SCM50s. Despite the use of valves this is a thoroughly modern design, even using a pair of Burr Brown volume controller chips rather than the more traditional potentiometer alternative. The wide range of adjustment these chips give means that the volume steps, even at low volume, are small enough to make really subtle changes. There’s a small digital display on a lower front-panel lip but, if viewed from above, it’s hidden from view by the bulk of the top section. Such practicalities are quickly forgotten once we start listening. We use a range of sources; digital is taken care of by the USB and optical outputs of a MacBook (loaded with Pure Music software) and the coax feed from our reference Naim NDS/555PS streamer. The Naim was also pressed into service to test the analogue line stages, aided by our reference Clearaudio Innovation Wood turntable running through a Graham Slee ERA Gold/EXP phonostage. The ClassicRemix is one of the most likeable amplifiers we’ve come across. It has refinement aplenty, but also a sense of enthusiasm that makes listening fun. It’s the kind of presentation that has us concentrating on the music rather than the specifics of hi-fi reproduction. We start with Bob Marley’s Exodus on record and are impressed with what we hear. The Pathos has a slightly sweet, rounded tone and plenty of body through the midrange, making the passion in Marley’s vocals easy to hear. The amplifier’s midrange is lovely; it’s subtle, articulate and well projected. Rhythmic drive is good too, the amp delivering the title track in a forceful and controlled manner. There’s enough punch to satisfy and a good amount of attack to the leading edge of notes. We try out the on-board DAC next, playing a range of music from CD-rips of Bjork’s The Dull Flame Of Desire and Dvorak’s New World Symphony right the way through to a 24-bit/192kHz file of Hans Zimmer’s The Dark Knight Rises soundtrack. We continue to be impressed. The ClassicRemix works well across all types of music, having the dynamics and punch to work well with Zimmer’s usual bold approach to music composition while having the subtlety to allow Bjork’s more low-key material shine. There’s plenty of insight here, and a nicely layered soundstage. A rival such as Naim’s terrific SuperNait 2 certainly has more grip at the lowest frequencies, and greater authority to its presentation. But, it doesn’t have the same fluidity through the midrange or the ability to communicate low-level dynamic shifts with such finesse. Both are great amps – just pick the one that suits your taste and system. We give more compressed music a go and find that the Pathos is forgiving for so revealing an amp. Eminem’s Mockingbird (192kbps) usually sounds harsh but through the Pathos the rough edges are rounded off just enough to keep things listenable while the amplifier’s fine grasp of timing and cohesion make the most of the song’s melody and rhythm track. Listening through headphones is equally rewarding. The appealing character the Pathos reveals through speakers stays intact via a pair of suitably good ’phones. We used both Grado PS500s and BeyerDynamic T1s with good effect. The ClassicRemix is a fine amplifier, and a great choice for someone who doesn’t want their hi-fi dominating their room but still wants a top-class sound. It’s usefully featured and is good enough to form the heart of plenty of top-class systems. We like this one a lot.